German gambling has quite intelligent look, with roulette, Black Jack and more recently, poker forming the main group of interest. By the way, for the opening of the casino, you must have a state license, which gives by the regulator of an appropriate federal land. The lion’s share of the income is taxed and replenishes the state treasury. Such enterprises are also subjected to higher taxes. 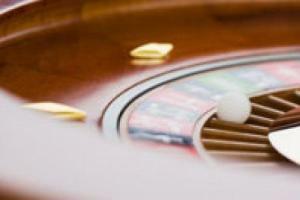 In 2013, the total profit of the German casinos totaled 289 million euros, 118 million of which due to the mandatory contributions and taxes flew to the budgets of federal lands. Lotteries and betting are legally allowed in the country Germany. Every newspaper and cigarette kiosk offers the magic pieces of paper with numbers. Profits from these lotteries are directed to socially useful purposes: for example, to help zoos and support cultural and sporting events. The criminal law expert Mohammed Ebadi says that a clear legal distinction between illegal and legal gambling houses in Germany is still there, although in the Criminal Code of Germany, there is a clause prohibiting illegal gambling business. Participation in organized illegal gambling in Germany is not criminally punishable, responsible are only the organizers. Officially considered gambling games that focus only on getting unreasonably high profits when the enjoyment of the game itself is placed on the back burner. According to the expert, the existing legislative regulation is far from reality. At the moment in the country sparked controversy about the legality of gambling halls. Because of the vagueness of the definition thousands of small gambling halls with a one-armed bandits that operate in the grey zone are constantly opened. Berlin is full of beer bars housing the machines. Sometimes the owners are charged a small fee for the opportunity to host – thus one can play slot machines in numerous gambling halls. In addition, the rate in slot machines deliberately limited to a minimum size, so that appreciable gain cannot be expected. Nevertheless, gambling people can still sit all the day in front of the screen even paying 50 cents per game. So far, the law limits only the total number of machines. The owners of Internet gambling are mainly located outside Germany, according to Apnet – casino website with reviews based in Sweden. Even though Mohammed Ebadi claims there is a large number of major Internet portals, which at least do not cheat customers and regularly pay a profit. The amount of online gambling establishments cannot be compared with the number of state licensed gaming enterprises. Another tricky case is that the lawmakers say the definition of sports betting is not unequivocal. As long as they are not considered illicit gambling, they require the expertise of a sport (e.g. when placing bets online one must understand the characteristics of the horses and jockeys qualification). Currently, however, the lawyers and the government begin to seriously think about the new legal adjustments and the possibility, on the one hand, to prohibit the abuse of the available games, on the other – to protect gamers from addiction and dramatic outcomes.